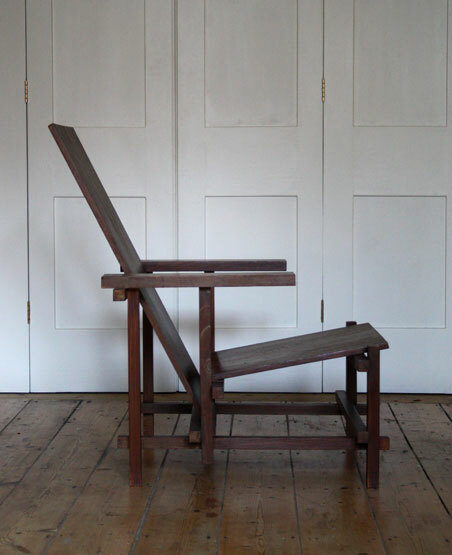 A vintage copy of the Red and Blue chair designed by Gerrit Rietveld in 1918. 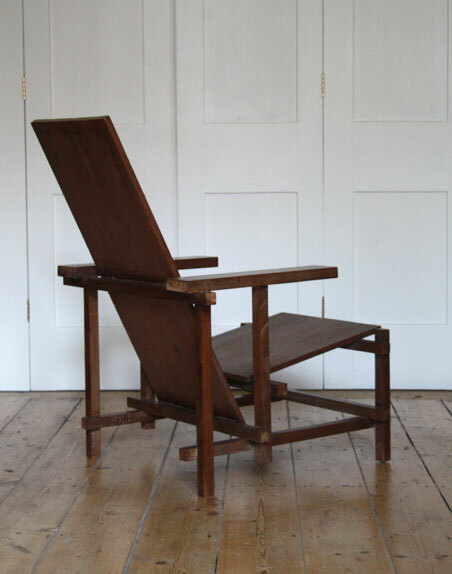 This particular chair was purchased by the owner from an architect in India who had owned if for over 30 years. 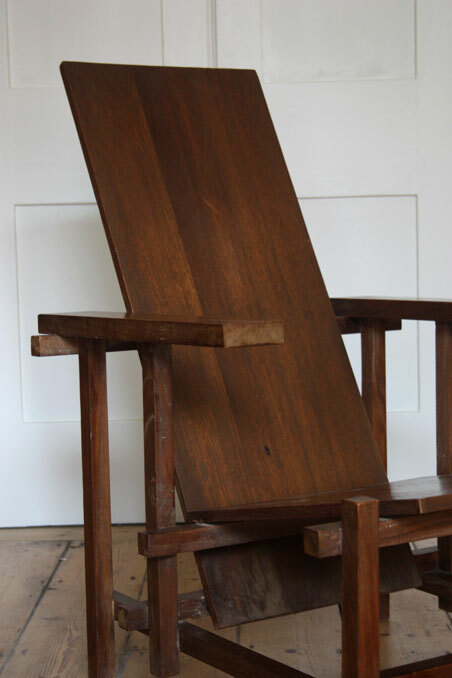 It is very well made, using Burmese teak with a lovely patina and is surprisingly comfortable. 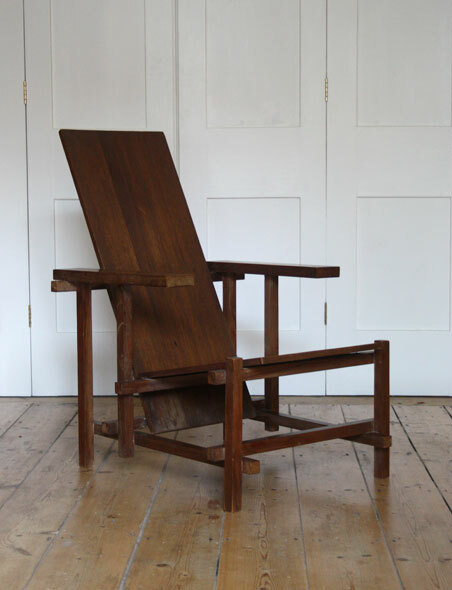 In overall very good condition with some wear to the wood - please ask for more details. Dimensions: 91CM HIGH X 85CM DEEP X 60CM WIDE x 36CM SEAT HEIGHT.